Caroline Monnet, Caroline, 2019. Digital print on paper, 24 x 24”. Caroline Monnet, Melissa, 2019. Digital print on paper, 24 x 24”. Caroline Monnet, Nico, 2019. Digital print on paper, 24 x 24”. Caroline Monnet, Sebastien, 2019. Digital print on paper, 24 x 24”. In a new series of ‘Fragment’ portraits, Monnet has developed individualized masks that overlay the faces of chosen subjects. 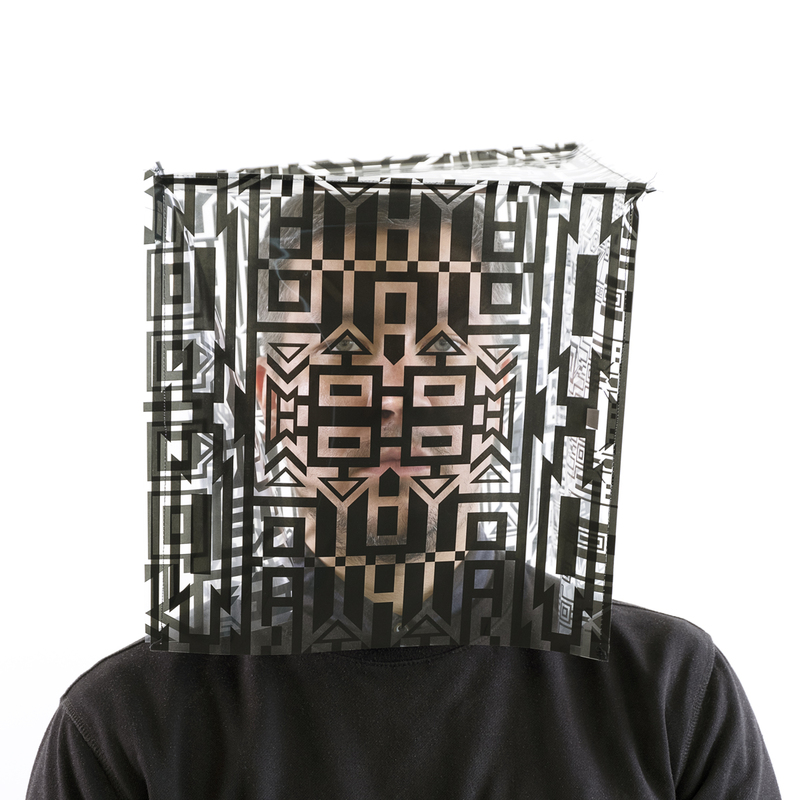 Mixing facial features with geometric shapes, new identities are forged through abstraction and interference. In this project Monnet revisits motifs passed down through her family by generations of matriarchs. 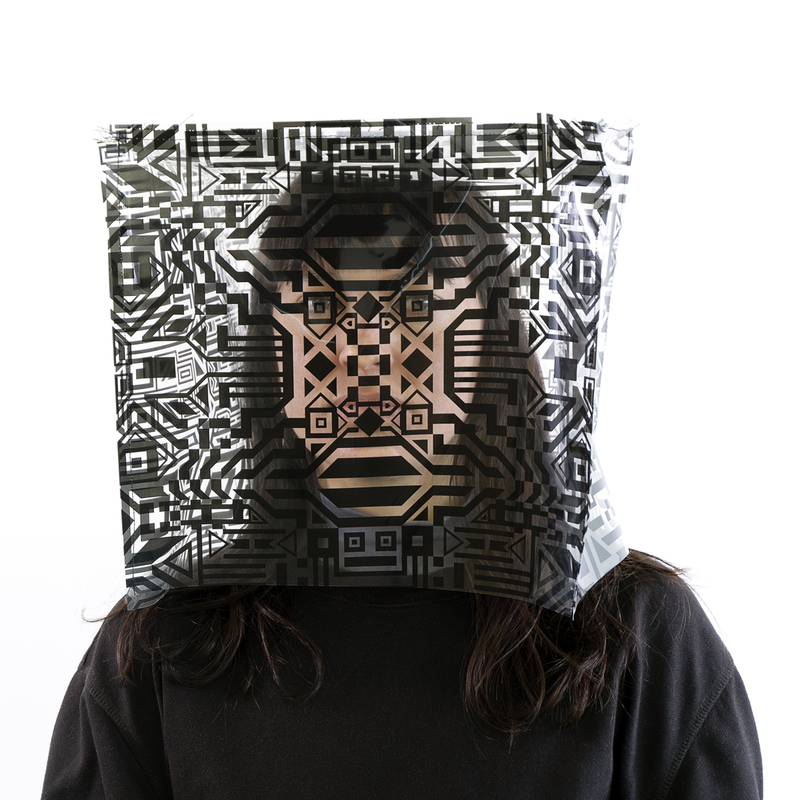 First appearing to mimic digital languages of microchips and processors, the masks’ patterns evolve to also echo aerial views of plots of land. For Monnet, of Algonquin-French heritage, hailing from Outaouais, Québec, these patterns represent the seigneurial system of land distribution enforced by European settlers. Similar repeated patterns can be seen in Monnet’s ‘In the Name of Progress’ that have been etched with fire into cedar. These engravings mirror the indelible marks left on her ancestral land made in the name of progress. Burned into white cedar, an indigenous wood, the lines and patterns passed down by her ancestors become a metaphorical map and a testament to the distances traveled by Indigenous communities over the centuries. Foregrounding generational interconnectivity, these works remind viewers that ancestral plights and triumphs are embedded in future generations like code, defining prospective habits, scars, prosperity, and affinities. Employing rigid lines and elemental materials, the artist underscores the endurance of her culture’s visual language, a language only now being welcomed into the art historical canon. 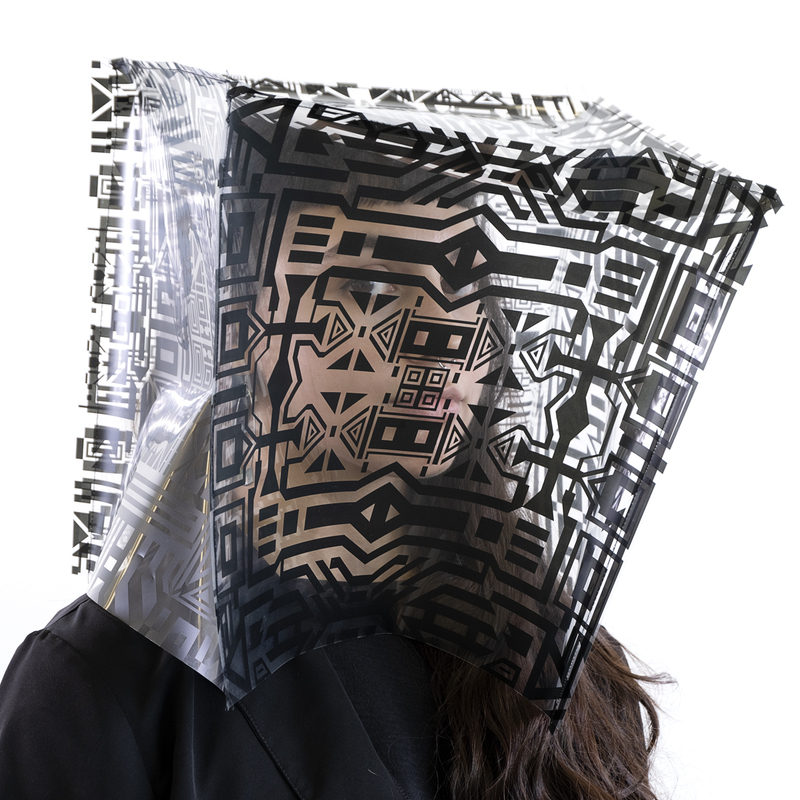 Now adorned on textile-based masks, these lines can be worn proudly as markers of identity, as reminders of how these histories and marks have shaped the artist, her family, and communities. If her homage grants indigenous visual identity its historical due, it does so in a way that splits with the traditions to which she is paying tribute. The ‘Fragment’ designs act as a cartography of the body, the temporary relationship between experience, embodiment, and knowledge. Personalities of Monnet’s sitters appear to be sifted through an algorithm, concealing their known qualities while embedding them with a patterned, seemingly-mythical identity. Their outward appearances have not only been changed, but how the sitters view the world, through the mask, have also been altered. They now see through a lens of Caroline’s experiences. Their facial features mingle with the designs to evoke a tradition of knowledge rooted in the psyche of those who wear them — like wearing a family crest as a proud reminder of the intrinsic connection between land, home, and identity. 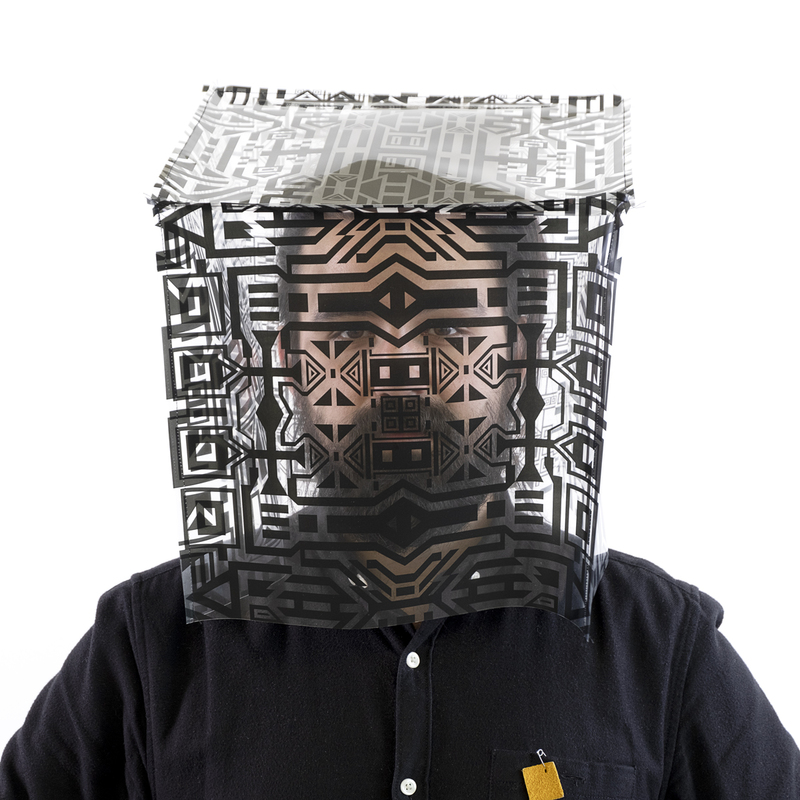 A Whole Made of Many Parts draws from various political and social histories, showing us how delineations, real or imagined, shape our cultures and communities. By tracing her roots to her own contemporaneity, Monnet describes a dynamic and ever-evolving history.